Mariah Carey and Nick Cannon are rich, sure, but it turns out they’re not that rich — at least, they weren’t in 2014. Thanks to their divorce settlement, TMZ obtained a look at the details, including the couple’s financial declarations, and they aren’t outrageous. According to the documents, Carey made $6.3 million in 2014, and Cannon only raked in $2.7 million. I say “only” while keeping in mind that in 2014 Beyoncé reportedly made $306 million, Britney Spears made $20 million and Taylor Swift made $64 million. Those numbers definitely put things with Carey and Cannon into perspective. Carey’s income is even more telling when you consider that she is demanding $50 million from her ex-fiancé, billionaire James Packer. The couple called off their engagement in October, and Carey claims that Packer owes her big money because she uprooted her life for him. Things with Cannon seem to be more civil, however. 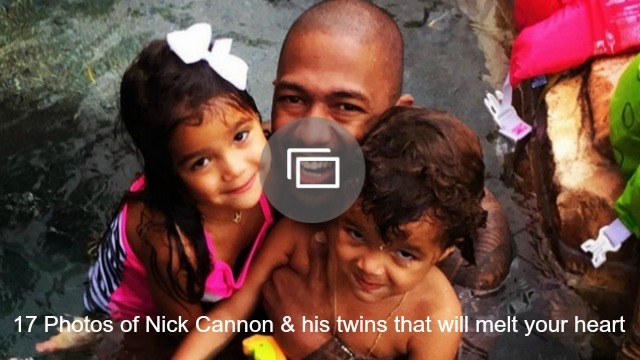 The divorce settlement requires Cannon to put aside $5,000 a month for their twins, Monroe and Moroccan. Carey and Cannon agree that no other new significant other will be addressed by the kids as “mom” or “dad,” and they share custody, though the kids are primarily with Carey. The two seem committed to co-parenting, too. They have been seen together with their kids on multiple occasions since their split. Of course, it’s important to keep in mind that just because we know Carey and Cannon’s income in 2014, that doesn’t mean we know what they make every year. According to Forbes, Carey earned $27 million in 2015. Are you surprised Carey and Cannon’s incomes were so low in 2014 despite their celebrity status?